Well, the MSC Divina keeps on getting better and better. The new luxury cruise chip from MSC Cruises now features an exhibit commemorating 1950s Italy, inspired by Fellini's 1960 film "La Dolce Vita." The film "La Dolce Vita" was the backbone that inspired the term "paparazzi." The classic chronicles celebrities in the 1950s, whether they were arriving or departing, going shopping or having a private moment (or, at least, trying to). The 84-picture exhibit aboard the MSC Divina is titled "La Dolce Vita. 1950-1960. 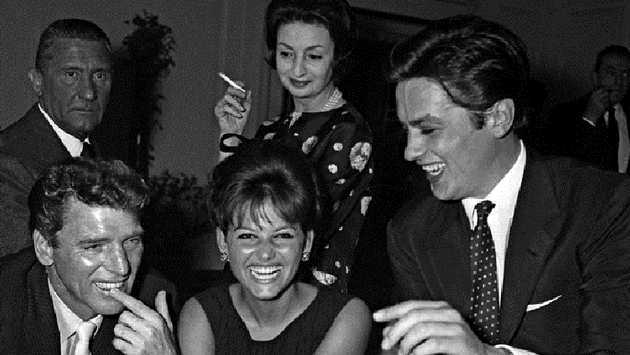 Stars and Celebrities in the Italian Fifties." It first appeared in Rome in 2010 at the Museo dei Fori Imperiali, curated by Marco Panella and promoted by Cinecitta-Luca and Artix. The pictures were selected from Archivio Storico Luce photographic records. Travelers now have access to this historic exhibit through the end of MSC Divina's year-long Caribbean season. The exhibit not only pictures some of the top celebrities of their era, it also highlights the period's culture. Travelers will be able to explore anything from the women's dresses and jewelry at the time, to the men's suits and ties. The scenery surrounding the celebrities is also fascinating, from the old vespas to the cafes to the nightclubs. Celebrities and stars include Frank Sinatra, Marilyn Monroe, Burt Lancaster, Kirk Douglas, Joan Crawford, Clark Gable, Anna Magnani, Sophia Loren, Brigitte Bardotat, Ava Gardner, Walter Chiari, Kim Novak, Gina Lollobrigida, Claudia Cardinale, Elsa Martinelli, Anita Ekberg, Zsa Zsa Gabor, Joan Collins, Roger Moore, Alain Delon and Rita Hayworth. MSC Divina partners with top Italian brands like Fiat, Segafredo, Venchi, Nutella, Campari, Martini and Eataly. The luxurious ship sets sail from Miami.